Those are ''way cool'' engines ! They look ''very'' stout !! how did you engine work out last summer. 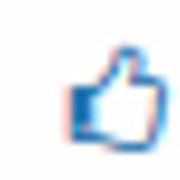 are you going to do anymore up grades over the winter? sticking a 10 horse carb on the ohh55 engine worked out amazing that small carb was bottlenecking all the other work I had done, with the big carb and hogged out intake the engine really sprung to life. 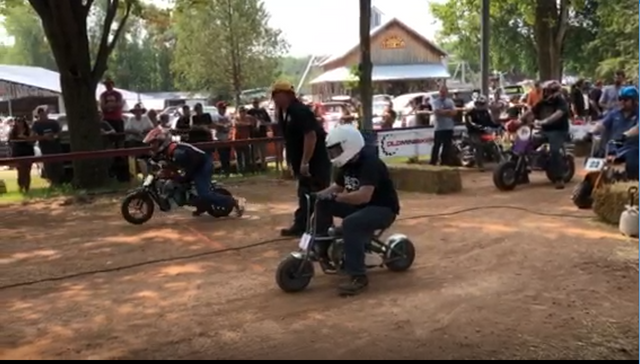 I could have kept up with the modified predator engines on my friends trikes at the last event I went to but the track was rough to say the least and small and they had several hours practice on it before I arrived. I cant wait until I get a chance to race against them again this coming spring at our normal track. they keep saying my Tecumseh will never keep up and that I should get a predator. but I'll prove them wrong and win. as far as future mods I'm going to swap the mild 275 grind cam from isky with a more aggressive 308 grind from dyno cams. I also have a 356 grind cam but I'm waiting till someone else posts a build thread with one before I go that aggressive. I want to see just what type of work it will take to make that cam work before I dive in over my head. 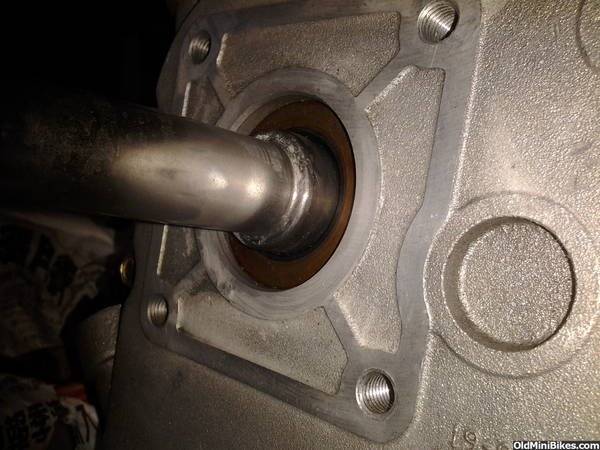 yes, I too found out right away how the stock carb can really restrict the power on my built hs-40 and then I installed a big block carb. day and night and then I went to a 22 mikuni and got even stronger. I do have to say the big block10hp carb was very strong still. I think when you get your gearing set correct with your motor and all that will be a big plus too. I tried something out last summer for my drag bike and seem to work very well. I had a 255 dyno cam with 1.3 rockers. engine would pull real easy to 8200 rpm's in 125 ft. that engine wasn't anything special. stock bore with a steel sleeve and I ran a ohh5hp head that has the small cc with .040 off the head with briggs valves and head ported. just in the bowls and little in the runners with a 22mm carb that ran a 142.5 jet(really needed a bigger mm carb) I didn't have any clones past me until I broke a main link in my gold chain and then I was done for the day. in my case it wasn't all about the motor for me. it had to do a lot with the driver(me) and my drive train. Joshua. c. and delray great post but put up some pics. for my application is to make the bike come out of the hole is hard as it can and make everybody else try to chase me down. as you can see in the picture how hard the bike pulls off the line. front wheel slightly off the ground,me laying over the bike and the other guy is still sitting there picking his nose. for josh's application is to make is 3 wheeler turn left and go fast. that all ties into a lot of things and to have one thing wrong can be a big struggle keeping up with 212 and bigger cc's engine. I seen how most of them guys race and for the most part it's HP that wins. so if he can take advantage on making something better on is three wheeler? for example suspension,type tires....etc then do it. you can't cut corners if you want to win with a 195cc motor. @delrey is this a steel sleeve ballbearing sidecover model? Pick up a rollor plus the tecumseh today. What do ya think? picture before big carb. I'll get a pic with the big carb later. to dark right now. mods: hot coil for timing advance. header, 275 lift cam, 20 lbs valve springs, big valves, shaved head, ported head, hogged out intake, governor gear removed, and a billet rod and now a bigger carb . all of this is strapped to a comet 30 series with 3100 rpm engagement driver springs and the stiffer yellow driven spring. to say its fast is an understatement. future mods: even stiffer valve springs, bigger cam and a muffler. and maybe a billet flywheel if I can modify one to fit. Any ideas on sidecover diffrences? @delray is this a steel sleeve ballbearing sidecover model? it should be real simple to find out if it has a bearing cover and the one picture you posted of the side cover is to far away to tell? bearing covers are very easy to spot. the seal will be recessed in the cover like this. here are some pictures that you already posted and they show the side covers real good and yes there will be a snap ring behind that seal. looks like you got a 5hp 172cc motor. that will have the small chamber. 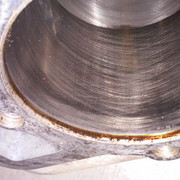 good head to modify with bigger valves and higher compression. 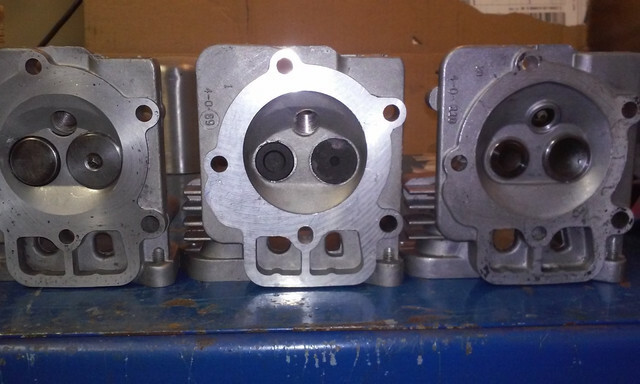 your head should look like the center one in the picture and the one on the left is the small chamber too ,but with bigger briggs valves installed. block will have a small bore, so it won't matter if it has a steel sleeve or not. 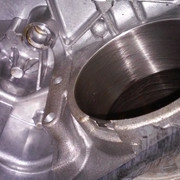 you would want a big bore block from a ohh5.5 and up. or you could have that one bored out to a stock bore 2.795 or .010 and also maybe install a steel sleeve if you want it in there? last year I pick up a 5.5hp yardman wood chipper and there was nothing on the outside that said steel sleeve until I took it apart. very easy to spot if you have one. this is the picture of the trike with new carb, as promised, the second half of the tail pipe is not attached right now. delray, I wish the big-time mini events were closer, I'd be there. How do you set your Torque converter for off-road drags like this, gearing? Does top speed matter for a 125 ft drag? Do you see minis at the shows that will spin the tire on a road surface out of the hole? you would have a lot fun watching these drags on clay surface for sure. drag racing on dirt to me is a lot harder to make it hook and and go fast then pavement and most pavement drag racing guys run a slick rear tire and have very little or none wheel spin and part of the reason is they are geared for top end(1/8 or more) and they just use a disc clutch for engagement. in my type of racings at 125ft on clay is totally different and that's where a torque converter works better. torque can work good too on pavement and guys that are using them are the real serious guys($$$$) with big blocks, rear hoosier tire, wheelie bars and are running jr dragster torque converters($$$$). just depends too on the type of rules that may set where you race. Holy-moly 8200 is way up there. What's your E.T. at 125 and how fast you guys going? What ratio on your sprockets? Is it a 30 or 40 TC or some other $$$ clutch? if you read delrays thread he gives all the details! Look under "tecumseh ohh build" it is a great thread and (hopefully) ever expanding!!! Come on guys show dem motorsports engines. Anyone want to show their star motors please put them up also.